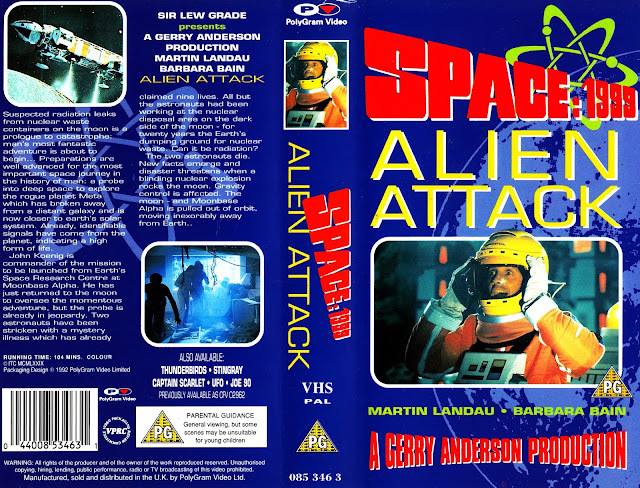 From the VHS era: SPACE:1999: ALIEN ATTACK, a cut-and-shunt combination of several episodes of the TV series to make a movie presentation. Before ITC VIDEO started to release the individual episodes (and licensing problems meant some had to held back until late in the release run), these compilations were the only way of getting hold of the show on home video. ALIEN : COVENANT OFFICIAL COLLECTORS EDITION. At first glance, this may strike you as a making of book but its actually the movie magazine in a hardback format. There may also be a softcover version in the shops. CREEPSHOW - a surprisingly faithful comic adaptation of the movie. WONDER WOMAN once more has her own uk comic with a tie-in movie cover. FREEWAY FIGHTER - another comic adaptation, albeit more loosely based on the fighting fantasy book. I just picked up the new Two-morrows book about campy superheroes, comics and media in the 1960s. It's not my era but it is a really great book. There is even a section on a Casper the Friendly Ghost ghost train at a long-defunct US theme park. Many hours of reading ahead. are you referring to HERO-A-GO-GO ? It also has material on THE MONKEES, a lot of good stuff in that book, going by the preview on the two-morrows site. re: SPACE 1999, I can still remember being blown away by the thunderous opening credits for season 1. Back in the early, pre - you tube 90's, buying a video was pretty much the only way to re-discover such vintage shows. That's the one. I couldn't remember the name. There is all sorts of cool stuff within its packed pages. A lot of reading ahead. The last WW comic only ran to three issues and that was a tie-in with the BATMAN VS SUPERMAN movie which didn't turn out the way fans expected. Although I like it more than most.